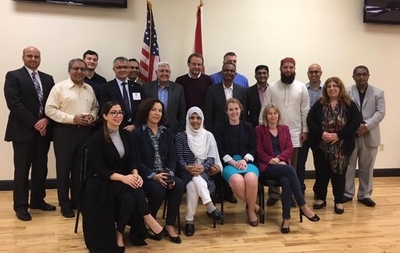 The Florida chapter of the Council on American-Islamic Relations (CAIR) facilitated a training session last week for a French police delegation, in conjunction with the State Department and the Department of Homeland Security (DHS)'s Community Engagement Office in Tampa, the Investigative Project on Terrorism has confirmed with DHS officials and other agencies. This session stands in contrast with the FBI's 2009 policy not to engage with CAIR outside of criminal investigations due to questions about the Hamas ties of its top executives. An FBI official wrote that "until we can resolve whether there continues to be a connection between CAIR or its executives and HAMAS, the FBI does not view CAIR as an appropriate liaison partner." That FBI policy toward CAIR remains in effect, and was publicly reaffirmed in 2013. CAIR-Florida issued a press release Dec. 8 giving details of the event, and posted numerous photos of the French delegation on its Facebook page. The training session was devoted to showing the French officials "how to effectively challenge violent extremist individuals of all backgrounds and prevent hate crimes, while protecting civil rights and challenging profiling and discrimination," the release said. Several French counter-terror officials received this training, including a representative of France's Ministry of the Interior and many police chiefs. 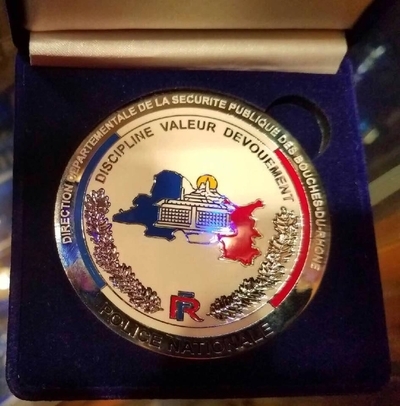 They presented Nezar Hamze, CAIR-Florida's regional operations director, with a medallion bearing the French national colors and inscribed: "Public Safety Departmental Directorate at Bouches-du-Rhone / Discipline - Valor – Devotion." 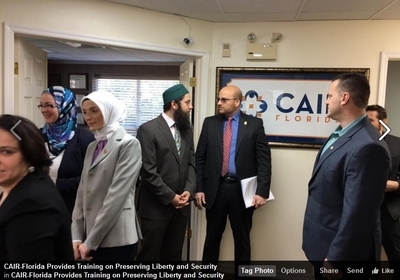 "We appreciated the opportunity to communicate how restricting liberty encourages hate crimes and violence and that preserving liberty and civil rights is key to preserving peace and security," CAIR-Florida Executive Director Hassan Shibly said in the release. This indicates that the thrust of this training was devoted to discouraging counter-terror activities within Muslim communities, which CAIR often has falsely represented as infringing upon the civil liberties of Muslims. CAIR officials repeatedly urge Muslim Americans not to cooperate with the FBI. DHS and the State Department participated in this CAIR training of French officials despite the well-documented record of CAIR's ties to terrorists. Internal Muslim Brotherhood records obtained by the FBI place CAIR and its founders at the core of a Brotherhood-created Hamas support network in the United States known as the Palestine Committee. CAIR officials enjoyed close relations with the Obama administration despite the FBI's evidence linking it to the Muslim Brotherhood and to Hamas. DHS/State Department coordination with CAIR is nothing new. The State Department sent CAIR officials abroad to conduct foreign outreach. The State Department hosted CAIR officials in October 2015 to discuss Syria and "the need ... to challenge [alleged] aggressive Israeli actions targeting the Al Aqsa mosque compound, one of the holiest sites in Islam." Considering Shibly's statements that Islamist ideology has nothing to do with terrorism and the rash of jihadist attacks that have rocked France since January 2015, his involvement in the training should be cause for alarm. In an April 21, 2013 interview with OnIslam, Shibly said that, "American political scientists have made it very clear that those who commit acts of terrorism have nothing to do with religion and are often motivated by political, not religious, reasons. Actually, such attacks can never be justified and truly are nothing more than the result of having a twisted and sick mind." In a June 2014 blog post, Shibly argued that the purported "FBI entrapment program targeting the Muslim community" was an example of tyranny that strayed away from the "great ideals of liberty, equality and justice." "I'm concerned that the government's own tactics turned him into a greater threat than he could have been on his own," Shibly told the Tampa Tribune in a June 3, 2014 article. "There's no need to enable a Hollywood-style plot ... Would Osmakac have had the ideas and the means to do this crime but for the government informant?" Independent investigations, requested by CAIR, completed by the Justice Department and a Florida state attorney found that Ibragim Todashev, a "skilled mixed-martial arts fighter," attacked the agent shortly after acknowledging involvement in a separate triple-murder case in Massachusetts. Todashev continued charging after being shot, prompting the agent to fire more. Shibly rejected the findings, saying only Todashev could "contradict the government's narrative," but he was dead. CAIR-Florida posted this image of Hassan Shibly and Kareem Shora at the French delegation program. According to a source, Kareem Shora played a key role in organizing the French delegation's CAIR training. Shora serves with the Homeland Security Advisory Council (HSAC) and a Community Liaison Council with the Office of the Director of National Intelligence. "It's not because they're Muslims. They represent nothing of Islam. Daesh represents nothing of Islam or a state for that matter, quote unquote. So I think our position, as U.S. government, is to advocate that point every opportunity we get. And from a Homeland Security perspective, in order to build a society that's resilient to all threats, regardless of the nature of that threat, our job is to make sure that these communities don't end up being categorized as being vulnerable, because they are in fact the ones most suffering as a result of those attacks."